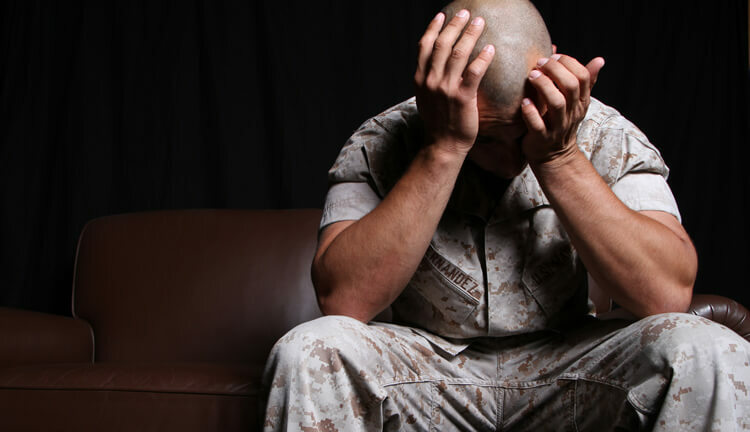 You are at:Home»Veterans»Posttraumatic Growth by Larry R. Decker, Ph.D.
Posttraumatic Growth (PTG) refers to the improvement in emotional and psychological functioning as a result of a traumatic experience. For combat veterans this might seem an odd concept. How is it possible to improve one’s sense of self, emotional condition, and overall compassion for others after experiencing killing other individuals, witnessing friends and comrades killed or wounded, and all of the other traumas of war? Lets begin with an explanation of how the more common occurrence, Posttraumatic Stress Disorder (PTSD), might develop. A famous Swiss psychologist Jean Piaget (1896-1980) explained the evolution of belief/schema systems via two processes: Accommodation and Assimilation. We can apply Piaget’s processes to the development of PTSD. When you experienced a traumatic event that event can be understood in at least two ways. If your belief system is flexible and open you can assimilate the traumatic information. The experience is emotional and difficult but is able to be integrated without changing the essential character of the experience. The horror and violence of war are difficult but understood within the context of the experience. You are a soldier and this is your job. But for many of us our belief systems are not that flexible and we instead accommodate the traumatic information. We either change the character of the experience (I don’t know who killed that person) or deny its existence (I don’t remember what happened [traumatic dissociative amnesia]). It is through the process of accommodation that PTSD is most likely to develop. Long-term denial and fictionalizing of trauma never adequately help to integrate the experience. Time does not heal it only distracts. If traumatic experience, that has not been accommodated, is not treated the best we can hope for is to have other events in our life demand our attention and distract us from our memories. If you choose this option be prepared for those memories to resurface as you age. As a clinical psychologist I have been treating veterans for over 35 years. In my early years I had many WWII veterans come in for treatment. They had retired and no longer did they have their work and family to distract them from their memories. Now they suffered from depression, anxiety, sleeplessness, and all of the other difficulties of PTSD. PTG will develop if belief systems are allowed to become flexible and open to the assimilation of the combat experience. The assimilation of combat is essential for PTG. How can we allow our beliefs to become more flexible? Perhaps the most difficult of war experiences to accept is the killing of other people. Military training has attempted to create improved acceptance by characterizing the enemy as less than human (i.e., gooks, hajiis, nips, etc.). This approach may help in the role of combat but is devastating in the post-war adjustment. If a soldier accepts the “lesser human” appellation for the enemy later adjustment to civilian life is significantly more difficult with severe Posttraumatic Stress Disorder (PTSD) being developed. There is now a popular concept of a “moral injury” to label the emotional states of soldiers struggling with having killed. However, His Holiness (HH) the Dalai Lama has spoken very directly to this issue. In a personal interview HH pointed out “Killing is not murder. It is the soldier’s job to kill the enemy.” This leads into the possibility of honoring the experience. As a soldier you performed your duties on the battlefield with honor and dignity. Yes there were people being killed, wounded, horrible fear, despair, rage, and overwhelming sadness. In the face of all that you did your job. You had been trained to kill the enemy and you did it with courage and bravery. Here is the first step to PTG—the honoring and caring for your self and allowing belief systems to open. The next step to PTG is the recognition of who you could be if only you would be who you might be. Try this simple exercise. For all of us there was someone in our life who we admired, we looked up to. We may not have known that person and it might even have been some historical figure. But try to think of why you admire that person. What was it about them that inspired you that impressed you? Now here is the best part—that quality that so inspired you is already in you. Your mind may reject that possibility but consider that you wouldn’t have recognized that quality if it wasn’t in your consciousness. That individual, you so greatly admire, may not be admired by others. They don’t see what you see because that quality is not present for them. The next step is to allow that quality to have a greater emergence in your life. Lets say the quality was honesty. There are none of us that are completely honest—actually the really honest person never thinks of him/herself in that way because they always know those times when they aren’t honest. But how can you be as honest as you wish? Thinking of manifesting this quality may bring about some anxiety. You may feel that this is too much how can you live up to what so inspires you? This requires a new way of thinking about the self. Realizing that this quality is already available for you, waiting there to be awakened, is an enormous step to PTG. One of the greatest difficulties soldiers face upon return to civilian life is the interaction with civilians. Civilians are different. When Thomas Wolfe wrote, “You can’t go home again” he was stating the obvious for the soldier. The civilian world seems to have changed while you were away, civilians didn’t experience basic/boot, advanced trainings, the camaraderie of the military and the adrenaline of always being armed. But you have also changed. You are no longer ordinary. What you have seen, done, and been part of has irrevocably changed you. The awareness that you were part of a united group all focused on a particular goal—the mission–was an experience that provided a structure for your life. This sense of belonging is not always found in civilian endeavors. Civilian life is much more individual, they seem to be in it for themselves, maybe some cooperation when necessary, but bottom line is the individual. Competition is more common than cooperation. Integrating civilian awareness while allowing the expanded sense of the combat experience makes one a leader. In other words the lessons learned in combat don’t go away and can be used in civilian life. Hypervigilance is a common symptom of PTSD. The sense of always being on the alert. Scanning for possible booby traps, i.e.ds., anything that appears to be not what it is pretending to be. While this constant being on the alert can be exhausting and lead to other difficulties (i.e., hypertension, sleeplessness, nightmares, self-loathing, and heart disease) it can also be used to educate yourself to the need for flexibility. You don’t have to deny yourself the need to be watchful. Appreciate the fact that your vigilance may have kept you alive in the war zone. Now you help to keep your family, friends, and others safe from possible attacks. A current sit-com that attempts to comically study many psychological issues is You’re the Worst. It recently had an excellent portrayal of an Iraq veteran struggling with PTSD. His hypervigilance was so extreme he was unable to sleep even after trying to physically exhaust himself. The veteran finally had something of a breakthrough when he encountered another Iraqi veteran and got very stoned with him. They both celebrated their differences from the “normal” civilian population. Give yourself permission to be vigilant, accept your need to continue with your awareness. Trying to repress this need will do more to exhaust you than the actual process of vigilance. This is a step towards the flexibility of belief systems. Appreciate the fact that you know more than civilians. You are not the “poor crazy veteran.” You have qualities that civilians know nothing about. You have experienced honor and dignity in the most horrific of experiences and you have come away with an understanding of life and death that gives you a sense of greater purpose and meaning.